The Main Cables leaving the exchange are fed to the Cabinets. These are the green boxes seen in the street. In the exchange these cables are terminated on the Main Distribution frame. These cables are pressurised to help expel any water ingress, due to faulty joints or damage to the sheave. Replacing or repairing these cables is expensive and the pressures are monitored and an alarm sounded if pressure drops below a pre-determined level. At the exchange the cables are feed in to the exchange via sealed ductways and then supported by cable bearers, in the cable chamber, which was under the exchange floor. They were then fed upwards to the Main Distribution Frame (MDF). 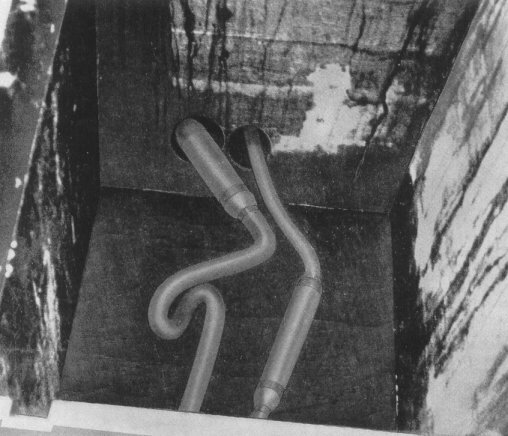 The incoming ducts are shown below before any cables were drawn through. to the MDF, which was on the floor above. 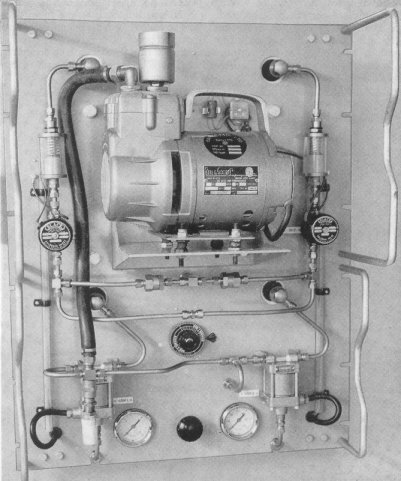 Air compressor on rear of Pressure Rack. get a couple of people inside. 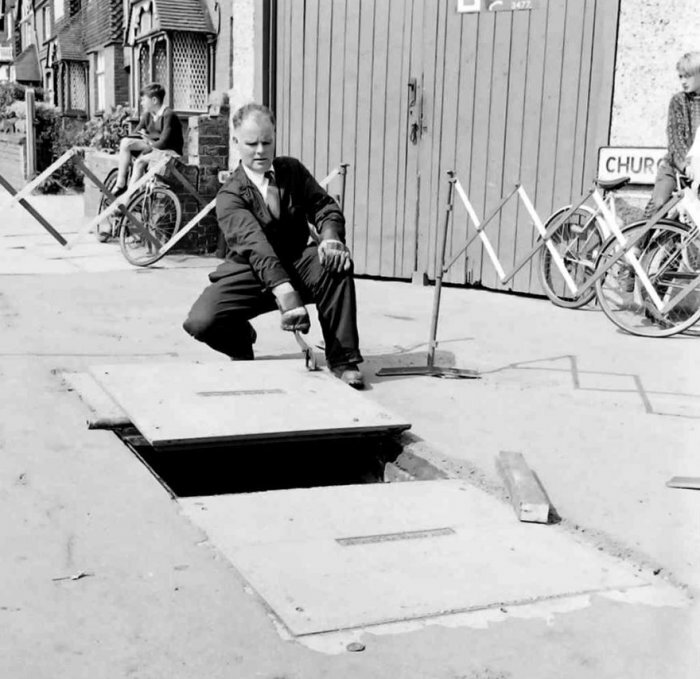 The chap above is removing a manhole cover. footway joint boxes were used. Foot way joint box cover being lifted. This is the correct way, using a roller. 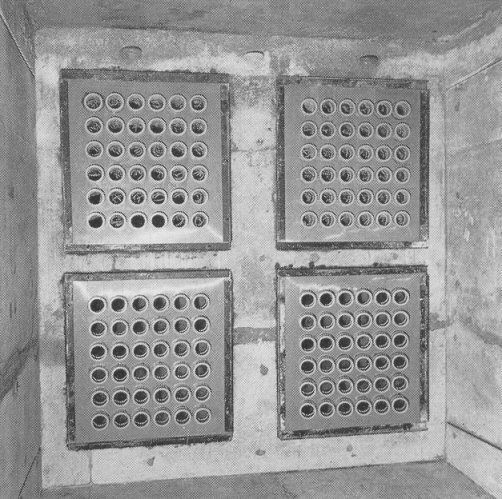 After lifting the cover, a gas test should take place. 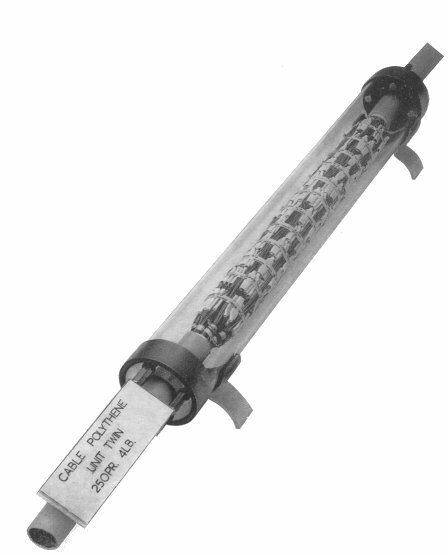 A miners lamp was used to test for carbon dioxide, whilst the tester above tested for explosive gases. 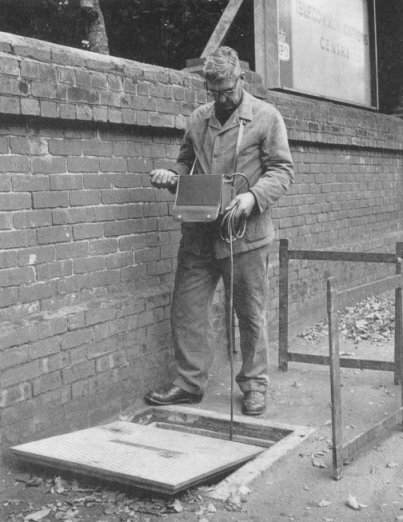 A footway joint box. 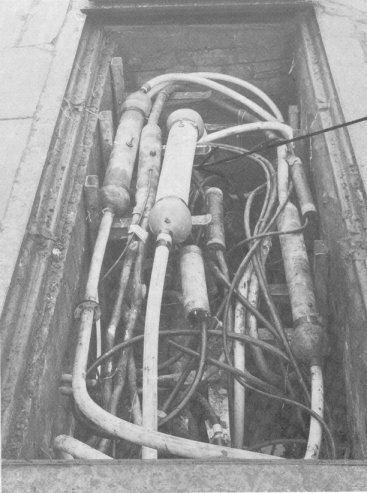 This is a rather congested joint box but it shows how the cables are joined. This picture shows cable creepage. This is movement due to sloping ducts or heavy traffic. 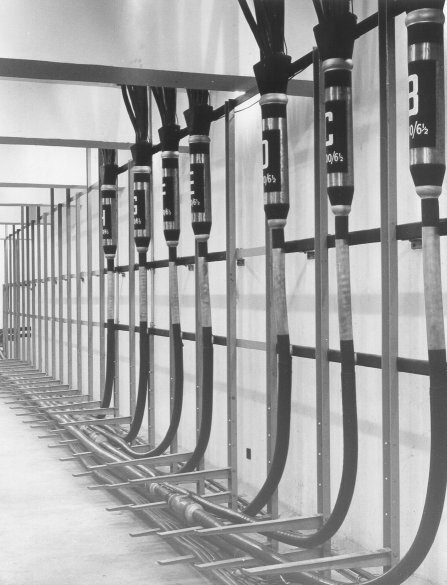 In those cases the cables would be anchored to prevent them from moving. The picture shows how the perfect joint should be made. 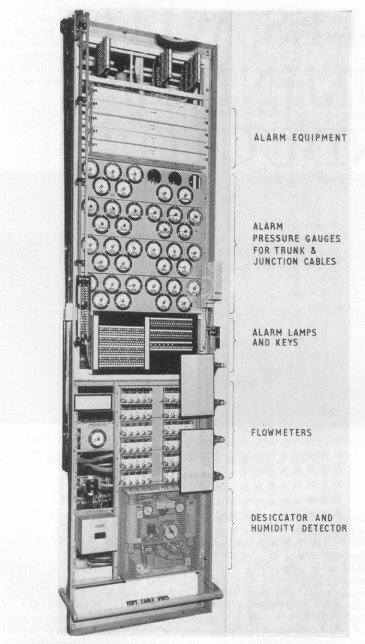 The wires are joined by crimps. Before crimps were introduced the wires were twisted together and a paper sleeve pushed over the joint.